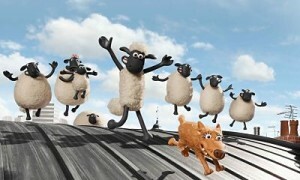 From Aardman Animation, the producers of Chicken Run and Wallace & Gromit comes the 2015 family comedy Shaun the Sheep Movie. The movie introduces us to Shaun, a little sheep with big dreams who’s been feeling that, lately, life on Mossy Bottom Farm has become a bit dull. When Shaun takes the day off for some fun in the Big City, he gets a lot more action than he bargained for. Now Shaun and his flock must use their wits to hatch a baaaa-rilliant plan to get back home. Shaun the Sheep received a 99% Fresh rating on Rotten Tomatoes and was the #1 movie on their Summer Movie Score Card for 2015. The Shaun the Sheep Movie home entertainment release comes loaded with bonus features, including a behind-the-scenes look at the making of the film, crew and characters featurettes, and a parody poster gallery.